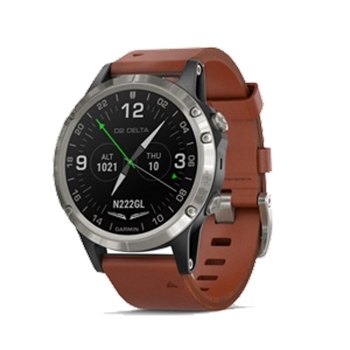 Looking for a full featured Aviator SmartWatch with health tracking, music, Garmin Pay and more? The D2 Delta is the perfect fit for you. With wrist-based heart rate tracking, WiFi and Bluetooth connectivity, the D2 Delta offers convenience in a compact watch. Premium Aviation Watch with MultiSport Features! 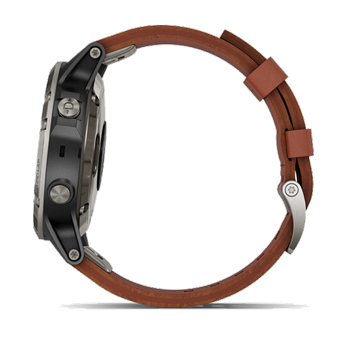 The D2 Delta offers true global flight navigation capability right on your wrist. Providing the user the ability to synchronize with your compatible avionics for enhanced GPS navigation and mapping data the D2 offers dynamic color mapping, NEXRAD weather, automatic flight logging, alerts for course deviations, and more. 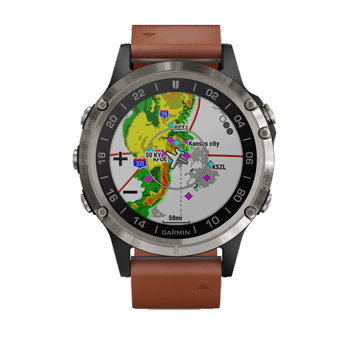 With a built in worldwide airport database, The D2 aviator watch lets you access Garmin’s signature direct-to and nearest routing functions by simply pressing either of 2 dedicated buttons. Add a Flight Stream 5100 wireless gateway (sold separately) to your cockpit avionics system allowing to stream information between compatible Garmin GPS navigator and your D2 Delta watch. When connected to a compatible smart phone, you gain weather with radar overlay as well as terminal forecast and location-based meteorological reports. This info includes winds, visibility, precipitation, cloud cover, temperature, dew point, barometric pressure and more with one touch of a button. Plus, you can always stay connected with smart notifications. The D2 is able to receive emails, texts and phone calls on your wrist you don’t ever have to worry about missing an important call or notice. You can even leave your cash and cards at home with Garmin pay - allowing many payment options using nothing but your watch. Not only an Aviation watch, the Delta offers modes for golfing, swimming, running, biking, hiking, rowing, skiing and more and also includes a wrist-based heart rate and even fitness tracking. You’re even able to download up to 500 songs and listen through Bluetooth headphones (sold separately) – limiting the amount of item you need to take with you to the gym or on a run! Up to 12 days in smartwatch mode and 18 hours in GPS mode, the D2 allows more use and less charging. Durable in any condition with a 47mm case size, scratch resistant sapphire crystal lens and a silver titanium bezel the D2 includes a Leather band as well as an additional black silicone band. With a Multitude of advance features the D2 Delta will not disappoint. Looking for Pulse Ox Technology? Take a look at the D2 Delta PX.